The GORE® TAG® Conformable Stent Graft with ACTIVE CONTROL System is part of the growing family of endovascular products that share a mission to effectively treat aortic disease, backed by Gore’s highly rated clinical support team and educational offerings. The portfolio of products includes the GORE® EXCLUDER® AAA Endoprosthesis for the treatment of abdominal aortic aneurysms (AAA), as well as the GORE® EXCLUDER® Conformable AAA Endoprosthesis with ACTIVE CONTROL System, also approved in EU. Together, the GORE EXCLUDER device family is indicated to treat the broadest range of abdominal aortic aneurysms in patients with challenging anatomies. 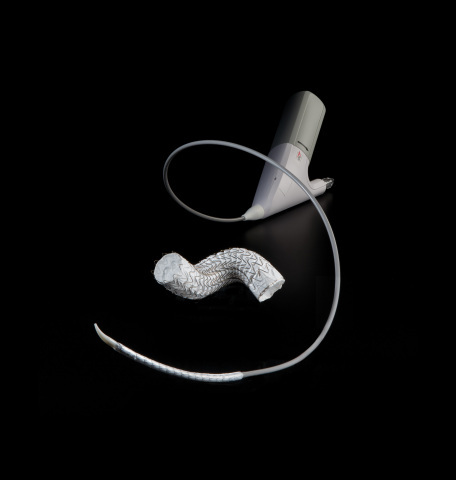 The GORE® EXCLUDER® Iliac Branch Endoprosthesis is approved in EU and is the first FDA-approved, off-the-shelf device for the endovascular treatment of common iliac artery aneurysms or aortoiliac aneurysms, and is indicated for use with the GORE EXCLUDER AAA Endoprosthesis. For potential additions to its branched portfolio, Gore continues to conduct studies on new and novel technologies to treat other aortic disease states. * Reported outcomes following 5-year-follow-up in FDA PMA clinical studies. ** Serious adverse events within 30 days of the procedure. GREAT Post Market Global Registry data collected from 862 patients treated with the Conformable GORE® TAG® Thoracic Endoprosthesis.